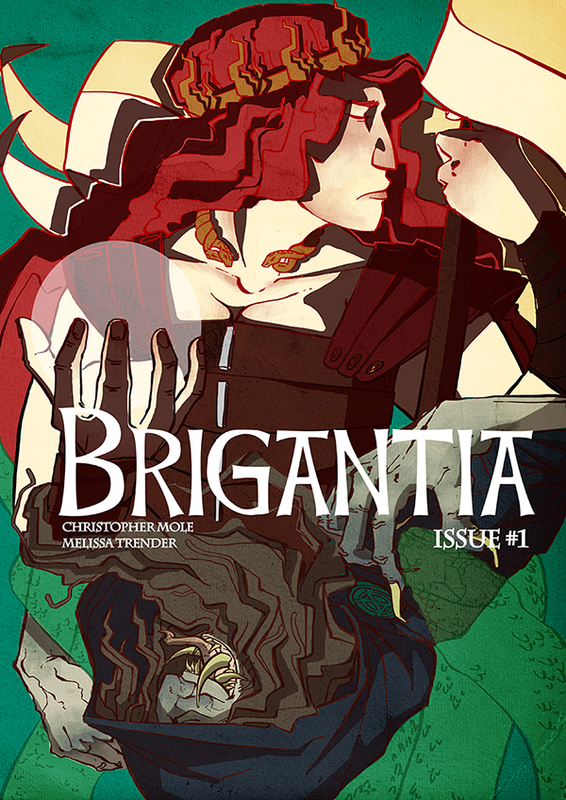 Brigantia is the story of a Celtic goddess who is flung through time into the near-future by her mortal foe, Veteris, and finds herself in a Britain that barely resembles the world she knew. As she struggles to find Veteris, defeat him and return to her own time period, she also finds more and more reasons to stay in the future and help the people of this time. The initial inspiration for Brigantia came out of thinking about the lack of specifically British superheroes- we don’t seem to have too many, and it was something I wanted to try and address. I came up with the idea of a British ‘Wonder Woman’-esque character based on Celtic/Germanic mythology rather than the Greek mythology that Diana is taken from, and wanted her to address the question of “British values”- Britain is a country made up of a large number of immigrated people (even people of white, Anglo-Saxon descent are immigrants from mainland Europe, going back to the 5th/6th centuries) and I wanted Brigantia to address that; she views anybody who has settled in her land as somebody worthy of her protection and refutes the idea that people of other ethnicities and cultural backgrounds cannot claim to be British. Cover concept for Brigantia Issue #1. Artwork by Melissa Trender.